Visiting roadside art installations is one of our favorite things to do when we’re on a road trip! 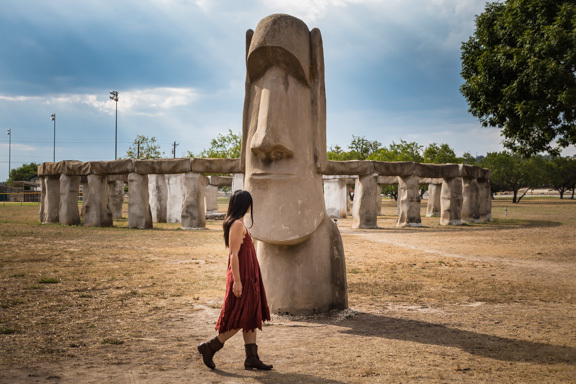 There’s something so interesting about finding unusual pieces of art in the most unlikely spots like the time we visited Stonehenge II and Prada Marfa. So it was inevitable that we stop and visit Cadillac Ranch created in 1974 in Amarillo, Texas on our way home from Palo Duro Canyon State Park! The 10 graffitied Cadillac cars protruding from the ground in the middle of a desolate field was quite a sight to see. But before we share more photos of this amazing art installation, we thought it would be fun to first discuss our five reasons why you should visit roadside art installations! It is usually free of charge. Many roadside art installations are free to the public, which means all you have to do is drive up to it and enjoy! It is always changing…depending on the environment. Many roadside art installations are not protected by buildings or glass cases, so you get to view how time, weather, nature, and sometimes visitors take part in the condition or even the decay of the art! The landscape is part of the art. 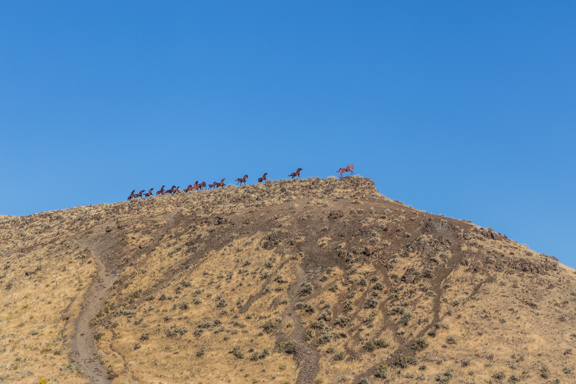 When visiting roadside art installations, you get to experience more than just the art installation itself…you get to observe and experience the landscape around it from a random field to a busy street. It all adds to the beauty of the art! It is unique and often unexpected. Many of the art installations found on the side of the road are meant to be quirky and bizarre so that drivers take notice, which means you’ll get to experience something that is original and never seen in any other location! It is often located in places you have never been. The fun thing about finding roadside art installations is that it gets you to places that you may not otherwise go especially the ones that are in the middle of nowhere or in a small town. It’s all part of the experience! 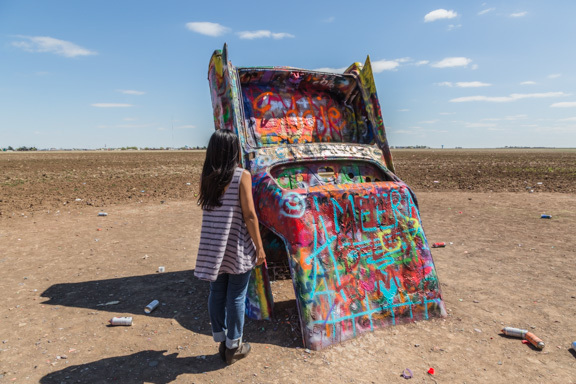 If you’re interested in planning a trip to find roadside art installations, we recommend checking out these lists of U.S. roadside attractions which can be viewed here and here. 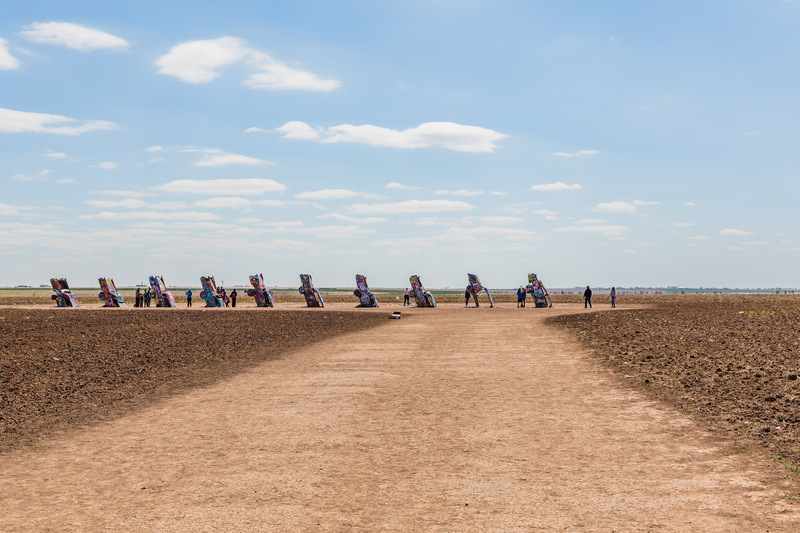 Hope you all have a great week, and be sure to check back Friday for more photos of Cadillac Ranch! Do you like visiting roadside art installations? Leave a comment…we would love to hear what you think!